1. Double-screen query machine, 17-inch + 19-inch, 19-inch + 22-inch, 22-inch + 26-inch can be selected, according to the needs of customers to create a single screen. 2. With high resolution and high sensitivity of the infrared touch screen, with waterproof, dustproof, tamper-proof and riot effect, surface acoustic wave screen and 5-line resistance screen can be selected. 3. Payment machine, this one machine can be installed coins or banknotes, as well as heat-sensitive printer is responsible for printing bills. 4. 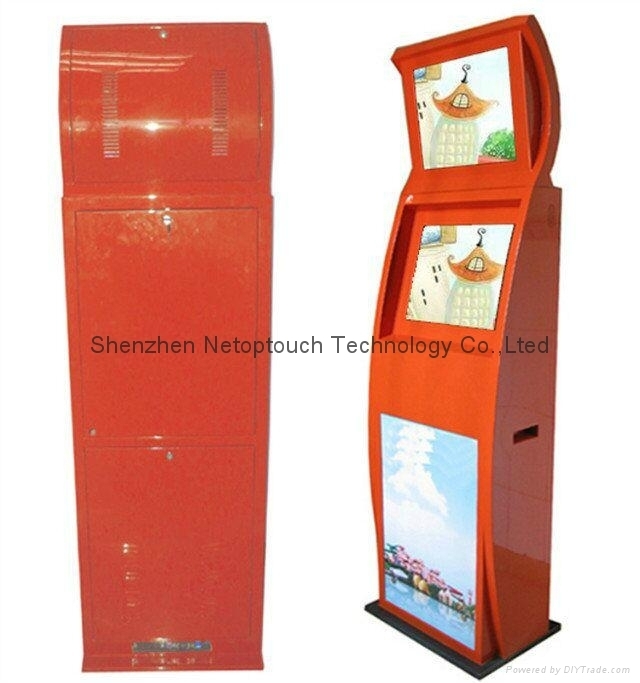 Advertising machine, the above ultra-thin display can play ads and product information release. 5. Information inquiry machine, with 16-digit and 64-digit metal keyboard, you can enter information through the keyboard even if not through the touch screen to achieve the purpose of the query. 6. Additional functions: Can install scanners, magnetic cards, IC/ID card, SD/CF card, RFID card, camera, WIFI, UPS and GPRS and so on additional equipment. 7. 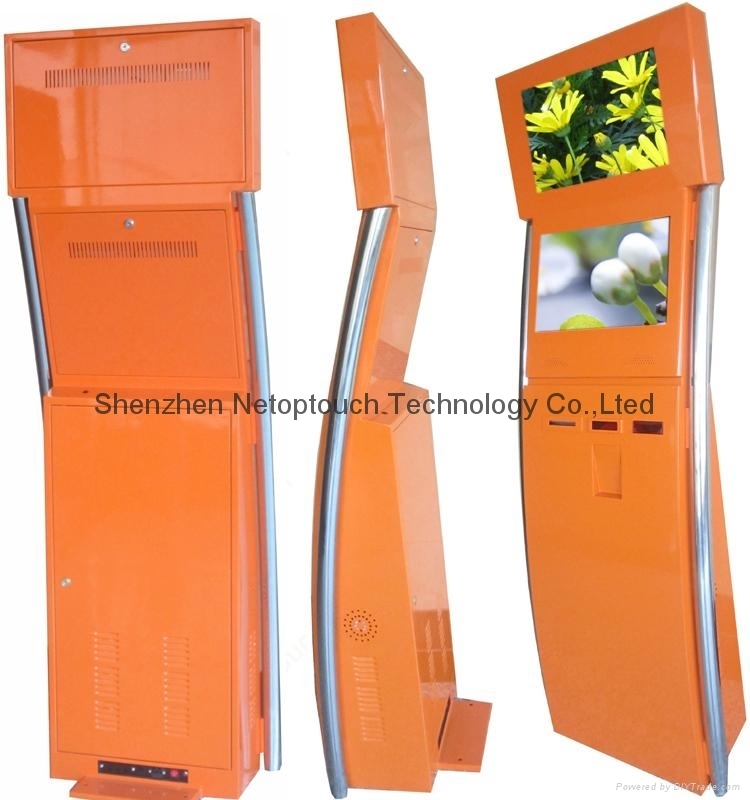 Application area: Touch Inquiry Payment All-in-one machine is widely used in the fields of business, finance, telecommunications, government and public places. such as banks, hospitals, hotels, subway stations, airports, bars, shopping malls, retail, exhibitions, halls, etc.